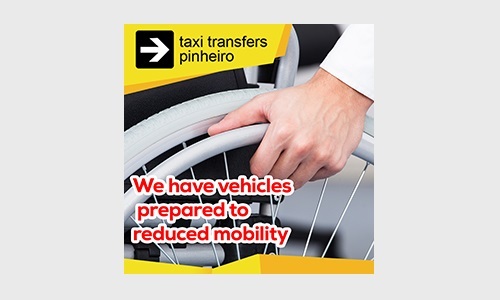 The Taxi Transfers Pinheiro has a vehicle adapted for the carriage of a passenger with reduced mobility situation. Offering this service, with a price list equal to the transfer service, fills a gap in the area of transport in the Algarve helping those who are in a handicapped situation. This car, by space and ease of access also meets all the conditions for transporting passengers in limited mobility situation. Ask for a quote, we will be quick to answer. We are available for the establishment of contracts or agreements with persons or entities who need to use this type of vehicle regularly. We are on hand to answer your questions, do not hesitate to contact us! 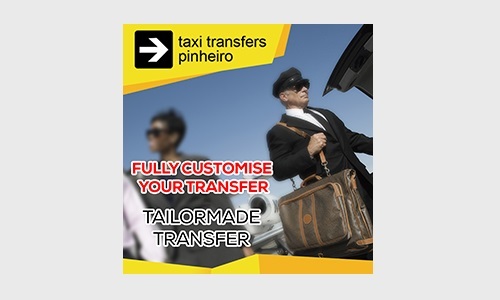 Taxi Transfers Pinheiro is a trademark of Táxis Pinheiro & Delmira Lda.